Pantheon are bringing Andrew Lloyd-Webber’s hugely popular Cats to Glasgow’s Kings Theatre in May 2019! Andrew Lloyd-Webber’s smash-hit musical CATS presneted by Pantheon is coming to Glasgow’s King’s Theatre for a 5 night run from 30th April to 4th May 2019! Following huge successes with Chitty Chitty Bang Bang, Elf, Grease, Legally Blonde, and Sister Act, Pantheon have received outstanding reviews for their productions of some of the world’s favourite musicals. Their production of Cats will feature a superb score, inspired choreography and mischievous costumes. 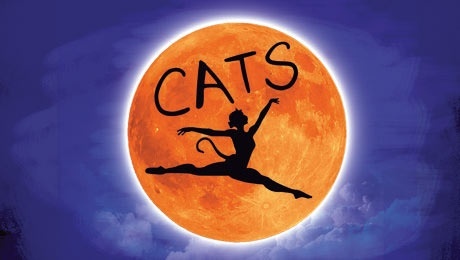 Cats is a brilliant song and dance spectacular not to be missed. Don’t miss CATS, Andrew Lloyd-Webber’s extraordinary record-breaking, smash-hit musical. Adapted from TS Eliot’s Old Possum’s Book of Practical Cats, this wonderful blend of fantasy, drama and romance is set on the night that the Jellicle Cats meet for the Jellicle Ball in a sparkling fusion of music, dance and verse. With an amazing musical score that includes the timeless Memory, spectacular set designs, stunning costumes and breathtaking choreography, CATS is a magical musical like no other. One of the longest-running shows in West End and Broadway history, – now you too have the chance to experience this legendary musical phenomenon. Pantheon’s production is directed and choreographed by Chris Stuart Wilson. It’s one of the longest-running shows in West End and Broadway history. The original production played at the New London Theatre for 21 years and CATS has enchanted audiences in over 300 cities around the world. It is currently being adapted for a Hollywood movie starring Idris Elba, James Corden, Taylor Swift, Judi Dench and Sir Ian McKellen.